A CIM Working Group was established in spring 2013 recommending ways to improve client data collection and access to information across the TC LHIN community. Recommendations were developed, and detailed requirements collected on Information Management needs from Community Mental Health, Community Addiction, and Community Support Services health service providers. On July 24, 2013, a Request for Proposal was issued to gather functional requirements applicable to a sector client management system – also known as a client information system. Research was conducted in August 2013 and the final CIS Functional Requirements Report was completed and shared with the community November 29, 2013. 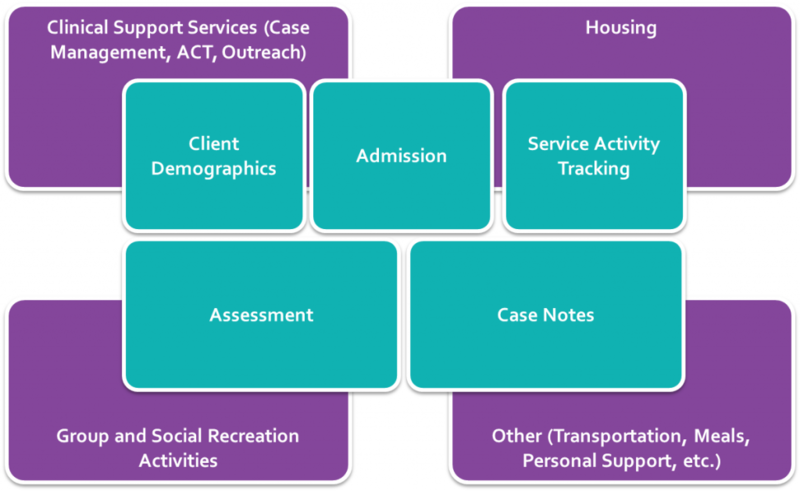 Additional elements required include: Clinical Support Services, Housing, Group and Social Recreation activities, and Other (Transportation, Meals, Personal Support). Based on the findings from the RFI review process, the CIM Working Group has recommended to the TC LHIN to proceed with a Request for Proposal (RFP) for a single client management solution for the Community Mental Health, Community Addictions, and Community Support Services sectors. It is estimated that this RFP will be posted publicly to e-tendering websites in mid-December 2014 with a submission deadline of late January 2015. Interested in learning more about the CIM project? Contact us!